Cable and internet provider Comcast IP Services renewed its 83,500-square-foot lease at Veritas Real Estate Services’ Class A office building at East Gate Business Park in Mount Laurel, New Jersey. The 113,000-square-foot building at 112 W. Park Drive was built in 1967 and renovated in 2007. The 4-Star property spans 16.8 acres less than 13 miles from downtown Philadelphia. Cranberry Plaza, a 106,165-square-foot shopping center located in Pennsville, NJ, was sold for $3.525 million. The seller was a private New Jersey-based investor who had owned the property for ten years and made numerous capital improvements. The buyer, a well-qualified New Jersey-based private investor. Cranberry Plaza is located on 18 acres of land at 233 S. Broadway in Pennsville, NJ. The center has 12 tenants, including Save A Lot, Metro PCS, and local tenants PV Pets and Tap & Bottle. Global biotechnology company Amicus Therapeutics will occupy space in uCity Square’s newest building, 3675 Market Street, for its newly-announced Global Research and Gene Therapy Center of Excellence. With the Amicus announcement, 3675 Market is now 90% leased just 90 days after opening in November. Amicus’s commitment in the building totals 75,000 square feet of office and lab space over three floors and is expected to be open in the second half of 2019. The space will eventually hold up to 200 employees. A group of Amicus researchers is already occupying space in the building as a client of BioLabs@CIC Philadelphia, a state-of-the art co-working wet lab and office facility. Developed by Wexford Science & Technology in partnership with the University City Science Center and real estate investment trust Ventas, 3675 Market Street is a 14-story, 345,000-square-foot building that combines several unique but complementary innovation assets including CIC Philadelphia, BioLabs@CIC Philadelphia, Science Center commercialization programs, Quorum, Venture Café Philadelphia, and FirstHand. 3675 Market is the latest addition to uCity Square, a 6.5 million square-foot mixed-use knowledge community consisting of office, laboratory, clinical, residential, and retail space to enable university and corporate research, entrepreneurial activity, and community engagement. Amicus Therapeutics chairman and CEO John F. Crowley acknowledged the proximity to collaborators at the University of Pennsylvania and other major academic centers and hospitals in the area as a tremendous opportunity to advance their commitment to gene therapies and novel high-quality medicines for people living with rare metabolic diseases as part of their announcement. J.G. Petrucci has begun demolition of Guardian Life Insurance’s former Lehigh Valley office building at 3900 Burgess Place, Hanover Township, PA. Petrucci will demolish the 196,823 square-foot, three-building complex, to make way for a three-building, 470,000 square-foot flex industrial center to be called the Lehigh Valley Flex Center. Lehigh Valley Flex Center will provide flexible lease options for requirements that range from 50,000 to 160,000 square feet. Petrucci expects to deliver the new facility in the fourth quarter of 2019. Constructed in 1983 and situated on 31 acres, the former Guardian office building featured a dated design comprised of private office spaces, conference rooms, cubicles, limited day light, and restricted views of the outdoors. As one of the largest employers in the Lehigh Valley, the company chose to construct a new building to attract new talent from the local community and raise the bar on what employees should expect from the work place. The new building enabled all of Guardian’s regional employees to be consolidated under one roof and promotes a more collaborative work environment with features such as open space, walk-up technology support centers, walking trails, fitness center, and pantries on every floor. “This building really became obsolete over the years and we look forward to replacing it with a highly functional complex that will serve users’ demands for manufacturing and warehouse spaces available for lease in the 50,000 to 160,000 square foot range,” says Jim Petrucci, founder and president of J.G. Petrucci Co. The move to 1777 Sentry Parkway West, Blue Bell, brings to the region the head office for a $350 million (market cap) company — now between products and without revenues, but with $270 million in cash to spend building new products. The move also brings an initial 30 jobs, a modest number, but high-paying management and science posts, the boss added. Achillion is developing therapies for “orphan diseases,” serious conditions that affect a few thousand Americans. Its current focus is on “alternative pathways" for factor D, an immune system enzyme whose maladjustment is associated with lethal kidney and blood diseases. The company’s therapies are going through later-stage trials in hopes of taking them to market. About a dozen Amicus research employees already have moved into a temporary space in West Philadelphia. They will be joined by 200 new hires — biologists and chemists — when the company’s 75,000 square foot center opens in late 2019. The new facility will house the headquarters for the global Amicus science organization and the gene therapy leadership team. Amicus will retain its corporate headquarters in Cranbury, N.J.
Admiral Capital Group says its core-plus investment platform acquired Valley Forge Park Place, an office complex encompassing 160,043 square feet of space in two three-story buildings in King of Prussia, PA. The seller was Keystone Property of Conshohocken, PA, which has owned the office complex since 2006, according to Real Capital Analytics, a proprietary research database that tracks commercial real estate transactions,. Financial details were not disclosed. VFPP is located less than three miles away from both King of Prussia Town Center and King of Prussia Mall, providing exceptional retail and entertainment amenities to its tenants. VFPP was constructed in 1978, underwent a significant renovation in 2007 and is 96 percent leased. The acquisition adds to Admiral’s core-plus office portfolio which already includes assets in Phoenix, AZ; San Diego, CA; and Frisco and Plano, TX (Dallas MSA). This investment expands Admiral’s presence in the region, which includes a significant investment as a co-founder of the Fitler Club, opening in Philadelphia in April 2019. The Fitler Club is a high-end social, dining and fitness club located at 2400 Market Street in the new Aramark headquarters building. Admiral’s core-plus strategy, called A2R, was formed in early 2018 with the mandate of acquiring and managing core-plus properties that provide stable cash yields in growth markets across the US. A2R is led by Andy Stone, who has acquired and managed more than $1 billion of commercial real estate assets in his career. Two major Delaware employers have signed long-term leases to move their respective headquarters to Avenue North, the redevelopment of the former AstraZeneca corporate campus in suburban Wilmington. The two companies, Christiana Care Health System, Delaware's largest hospital operator, and specialty chemical producer Solenis Inc., which recently completed a merger with BASF to combine their paper and water chemicals businesses, agreed to lease two large blocks of office space in the $350 million redevelopment located along U.S. 202 . Delaware-based Delle Donne & Associates purchased the 80-acre property in 2017 from drugmaker AstraZeneca and is in the process of redeveloping it into a high-end, mixed-use complex. The developer plans to add more than 300 residences, approximately 200,000 square feet of retail space and a 200-room hotel-conference center in addition to new and existing office space. AstraZeneca agreed to leaseback approximately 400,000 square feet encompassing two buildings for its U.S. headquarters when it sold the property. Christiana Care will lease the entire 386,460-square-foot Center Building, while Solenis will occupy the Pavilion Building , which measures 104,488 square feet. These two leases fill the largest remaining blocks of existing office space in northern New Castle County, according to JLL Senior Vice President Jamie Vari, who helped procure the two tenants on behalf of Delle Donne. Vari said the early leasing success of the Avenue North project bringing thousands of jobs to the site reflects the scale and expected quality of the proposed mixed-use project. "Within 18 months of acquiring the site, Delle Donne & Associates, Inc. and their extended team executed on a marketing approach which secured three major Delaware users," Vari said in a press release announcing the two latest lease commitments. "The goal of the plan is to create the new benchmark of high-end development along the Route 202 corridor." For Solenis, which had considered relocating out of state, the new lease confirms the headquarters of the $3 billion specialty chemical company employing over 5,200 people worldwide will remain in Delaware. CBRE assisted the chemical firm in its site selection. The company expects to relocate to its new location in the first quarter of 2020. Last November, Delaware approved a $3.9-million taxpayer-funded grant as an incentive for the company to keep its headquarters in the state. Christiana Care said it plans to relocate much of its administrative and support services to the Avenue North location, freeing up more space at its hospitals in Wilmington and Stanton. "Avenue North creates an opportunity for Christiana Care to consolidate many of these offices together, reducing costs and increasing efficiency," said Sharon Kurfuerst, the chief operating officer of the health system in a statement. PNL Companies, a full service investment firm headquartered in Dallas, sold a 91,190-square-foot office building in Malvern to a private investor. Malvern Executive Center sold for $15.5 million, or about $170 per square foot. The three-story structure at 100 Deerfield Lane was built in 2003 and renovated in 2015. The 4-Star property spans nearly an acre less than 25 miles from Philadelphia International Airport. The Class A building is 73 percent leased to ten tenants including Fox & Roach and USA Technologies. Local architecture firm Ballinger renewed its 78,951-square-foot lease at HCP’s Class A office building in Philadelphia. The 708,361-square-foot building at 833 Chestnut St. was built in 1926 and renovated in 2006. The 14-story, 4-Star property spans 1.6 acres across from the 8th and Market Street train station. HCP originally purchased the building, which is managed by Lincoln Harris CSG, in April 2015, CoStar data shows. From New York City to Chicago to Los Angeles, some newly renovated multistory buildings with city views aren't housing people. They're holding their stuff. America's obsession with possessions is fueling unprecedented interest by investors and developers willing to pay increasing prices for buildings and land on which to create self-storage units. Long considered an unglamorous subset of industrial real estate, self-storage is coming into its own in the United States. The nationwide growth of residential real estate prices has pushed more of the population to living in smaller places where they don’t necessarily have the space for off-season clothing, gear and supplies for their hobbies. Storage and warehouse leasing has grown 2.5 percent since 2014 to become a $37 billion industry this year, according to market research company IBISWorld. The number of storage businesses has grown 2.4 percent and their workforce has climbed 2 percent in that time. The U.S. population has grown 3.3 percent from 2013 to 2018, and the economy is in the midst of what could be the longest economic expansion in U.S. history come July. It follows, then, that spending on self-storage construction grew about $1 billion to more than $4.5 billion in October last year from the year earlier, according to data compiled in December by website SpareFoot, which tracks the self-storage industry. The abundance of self storage now is inspiring not just reality shows in which people bid for the contents of abandoned storage units, but also a Netflix series called "Tidying Up With Marie Kondo" that goes the opposite way by teaching people how to pare their possessions. The industry is even drawing attention from high-profile investors beyond real estate. Japanese conglomerate and investor SoftBank, a backer of ride-sharing app Uber and coworking firm WeWork, said Wednesday its Vision Fund made a $200 million infusion in Clutter, the Los Angeles-based startup that allows users to summon a crew to their homes to pick up items and haul them to a storage facility. Fast-growing Clutter in December agreed to lease 462,000 square feet of industrial space for storage. Major commercial real estate companies have taken note of the increased demand for self-storage and are directing their dollars accordingly too, while companies that have existed in the space for years look for ways to protect their territory. Companies such as Nuveen Real Estate, the investment management arm of financial services giant TIAA, have taken notice. Nuveen last month acquired a 90 percent interest in a 21-property portfolio totaling 1.3 million square feet in nine cities through a partnership with Morningstar Storage, a Matthews, North Carolina-based self-storage company. Houston developer Hines in 2018 launched an effort of its own to invest in high-end storage facilities in the southwest and began construction on a self-storage facility in Phoenix. The company said it plans to build as many as three to five more projects a year in areas with growing populations and high incomes. In addition to being in high demand, self-storage is also seen as a relatively safe investment, as it fared comparatively well during the recession, said Walter Brower, vice president of capital markets specializing in self-storage properties at Los Angeles commercial real estate firm CBRE Group Inc.
Like all real estate types, self-storage properties suffered during the recession, but they still made money. They paid dividends at a time when few other property types did, thanks to a diverse tenant base and short lease terms, Brower said. After the recession ended, Brower said, private equity started flowing into the industry. The combination of capital and demand inevitably leads to development, which is happening in major markets across the country at varying levels, with bigger, denser cities getting more attention from developers. Self-storage units today are built vertically, a departure from the short, broad structures from previous decades. In particularly dense, expensive areas like Brooklyn, New York, self-storage projects can reach 12 and 13 stories tall, with units starting at $300 for each month. But in spite of the common perception that self-storage is an inexpensive property type, building in these areas is neither cheap nor easy, Brower said. “In Los Angeles, $6 million per acre pricing for prime, infill self-storage locations is not unheard of,” said Brower. By comparison, the average acre of U.S. farmland was about $3,080 in 2017, according to the United States Department of Agriculture. Land costs are just one of the many challenges that the industry’s growth presents for long-time self-storage operators, U.S. Storage’s Byerly said. The influx of capital has made it difficult to do deals, added Byerly, because the presence of motivated and deep-pocketed investors in the industry has caused valuations to go up and overall make the industry a more expensive place. U.S. Storage, which earlier this month purchased a 1,269-unit self-storage facility in Las Vegas, has properties in 16 states and in most of the major coastal cities. The market nationwide is at a heightened level of supply, Byerly said, because so many companies started building self-storage so quickly after the recession. But slow entitlement processes, larger and more complicated facilities that include components like climate-controlled storage, and construction labor shortages have slowed down the construction process and pushed back the time frame for most new development. Another challenge is increased overheard and operations costs, Byerly said. Property taxes and insurance costs are up, and minimum-wage laws enacted in many states mean that employees have to be paid more. Marketing self-storage is also more difficult because of increased competition in the space. In spite of these challenges, growth in the industry is expected to continue, at least as long as the American population keeps growing. A Pennsylvania company was awarded nearly $40 million in tax incentives from New Jersey to build an administrative-office outpost on Camden's waterfront, bringing 200 jobs to a city that's been mounting a comeback. The state Economic Development Authority approved the $39.6 million tax package, which spans 10 years, for Elwyn, a nonprofit. The company, founded in 1852 and based in Middletown Township, Pennsylvania, provides services to children and adults with intellectual, developmental, physical, medical, emotional and behavioral health challenges. At the meeting, the EDA's managing director of business development, Paul Ceppi, told the agency's board that Elwyn was looking to take new office space for its administrative functions by either building a 53,425-square-foot facility at 2 Penn St. , which is part of a huge $1 billion redevelopment on the Camden waterfront, or else lease an existing 57,000-square-foot building in Wilmington, Delaware. Elwyn will be bringing 167 new jobs to New Jersey, and Camden, as well as transferring 33 jobs that are now at its location at 1667 East Landis Ave., Vineland, New Jersey, to the city on the Delaware River, for a total of 200 jobs. "These positions are all headquarter-related, dealing with payroll processing, insurance processing and the like," Ceppi said, adding that Elwyn plans to make a $39.6 million capital investment in Camden. 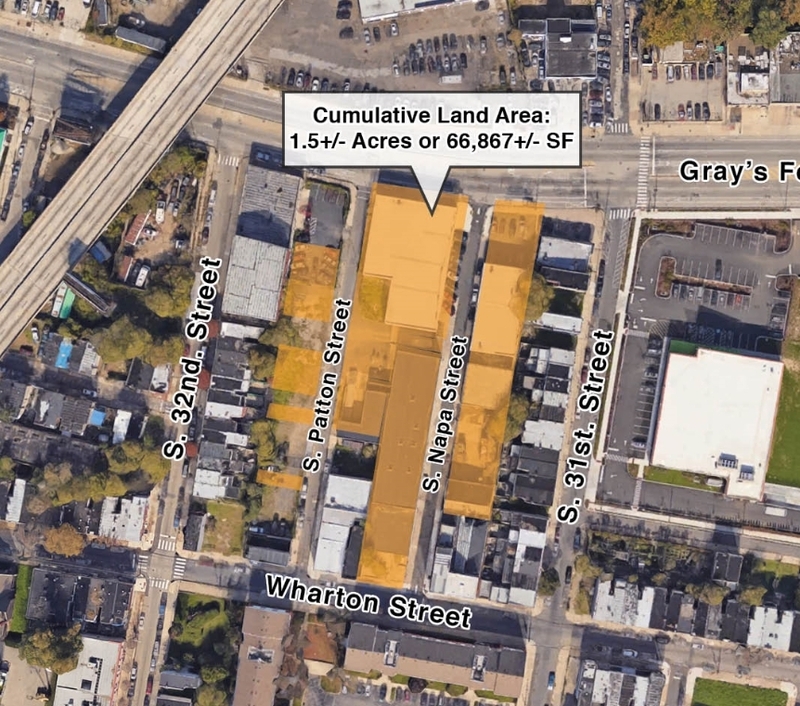 An EDA memorandum said that Elwyn's proposed project on Penn Street "represents a significant step forward for Camden's redevelopment efforts" and would have a net benefit to the state of $88,310 over a 35-year period. Elwyn will complete its capital investment by Feb. 1, 2021, according to the memo. Camden has struggled, and made some strides, to overcome its economic woes, according to officials like former Gov. James Florio. Econsult Solutions Inc. released a report in January on the city's status and progress. It credited state tax incentives as being crucial in helping the city to rebound. "Camden faced more than 50 years of economic decline, a decline that had a dramatic impact on the quality of life, health and well-being of its residents," the report said. "By the early 2000s, it was facing crises of fiscal health, public safety, and K-12 education. Through collaboration and commitment, Camden’s state and local government entities, business leaders, and community stakeholders have driven improvements across social determinants of health citywide. Crime is at a historic low, with murders down by 60 percent over five years, and violent crime down by 40 percent. New, state of the art of schools are open across the city, and test scores are rising. And most importantly, economic development is helping create jobs for Camden residents." But the report cautioned that the city's economic recovery still needs assistance. "Camden has made tremendous progress in a short period of time, but these changes are not yet secure, and continued investments by the private and public sectors, including the state of New Jersey, are necessary to ensure that Camden’s emerging platform for growth is not compromised," the report said. "The social determinants of health -- and the city's future -- require it." Jeremy Sunkett, Elwyn's vice president of strategic real estate, attended the EDA session. "It's been a long process and we're really happy with the results," he told the agency. After the meeting, Sunkett said that redeveloper Liberty Property Trust owns the vacant site where Elwyn's office building is planned, nestled behind a new American Water headquarters. "It's an expensive place to develop in general, Camden," Sunkett said. "And obviously it's distressed. It's a difficult set of circumstances. And you're also talking about riverfront construction for it, which puts a premium on the cost to build it." With the move to Camden, Elwyn can move out of three different buildings at two locations, consolidating and going from about 130,000 square feet to 54,000 square feet, according to Sunkett. At its meeting the EDA also approved a memorandum of understanding for a data-sharing agreement between it and the state Deportment of Labor and Workforce Development. The purpose of the agreement is "to promote additional compliance with the rules and regulations of the job-based incentive programs" within the EDA, according to the agency. EDA Chief Executive Tim Sullivan talked about the agreement with state labor officials last week when he testified before a joint legislative hearing on New Jersey's tax incentive programs. An audit by the State Comptroller found that the EDA had “improperly awarded, miscalculated, overstated and overpaid” $11 billion in granted corporate tax breaks, in part finding there wasn't proper verification of jobs that were supposed to be created by some award recipients. With its memorandum of understanding in place, the EDA said it will be able "to cross-reference the employment information provided by our applicants with data submitted" to the state labor department. The EDA will reimburse the department no more than $5,000 a year for the data-sharing. Linlo Properties acquired two office buildings totaling 76,972 square feet in the Rossmoyne Business Park, in Mechanicsburg, PA. Members 1st Federal Credit Union has leased back a portion of both buildings as it begins due diligence phases for a new corporate headquarters. The two office buildings are located at 4999 Louise Drive and 5053 Ritter Road and are 56,494 square feet and 20,478 square feet, respectively. Members 1st is exploring the option to consolidate operations into one facility at a new corporate headquarters in Hampden Township, although details have not been finalized. In another sign that investors see big value in cheaper apartments, Morgan Properties has struck a deal to buy 15 older rental complexes in the suburbs around Philadelphia, Baltimore and Washington, for $1.4 billion. Morgan, of suburban Philadelphia, has been one of the most aggressive buyers of “workforce housing” in the Mid-Atlantic in recent years. Now, they’ve struck a $1.4 billion deal for 6,696 apartments, mostly of 1960’s and 1970’s vintage. That’s Morgan Properties’ specialty – “workforce housing” that caters to mid-income renters and has the potential for higher rent growth than the newer, higher-rent rentals in those markets. With cheaper rents than the fancy new developments popping up in those markets’ downtowns, the older communities have a natural pool of potential tenants among lower-income renters. And by making modest improvements to the apartment interiors and the community amenities, Morgan could raise rents to boost their own returns on the investments. The strategy is becoming increasingly popular, as very little of the tsunami of new apartment development is aimed at middle-income renters. The deal is the biggest single pick-up ever for Morgan, an apartment management and investment firm founded in 1985. But the company has shown an appetite for big deals, especially those involving Class-B properties with upside potential. Since 2013, the company has picked up about $3 billion in apartments before the Lone Star deal. The vast majority of Morgan's rentals are in the Mid-Atlantic, but the company has acquired rentals in Tennessee and as far west as Nebraska, and as far south as South Carolina. The firm now owns more than 30,000 apartments. Just two weeks ago, Harbor Group International made a similar big investment in workforce housing. The Norfolk, Virginia-based shop paid $380 million for a six-property, 1722-apartment portfolio in suburban Massachusetts. They too appeal to the renter priced out of the gleaming towers now littering downtown Boston and its close-in suburbs. And they too offer their new owners the potential for larger rent increases through property upgrades. The deal with Lone Star has yet to close and details could change, last minute. But market players familiar with the deal say Morgan is under contract for the portfolio and will pay slightly more than $210,000 per unit. Morgan’s new portfolio will include the 1,387-unit Mount Vernon Square Apartments, at 7429 Vernon Square Drive in Alexandria, Virginia. It was developed in 1965, and is the largest in the portfolio acquired from Lone Star. The Home Properties of Bryn Mawr, at 105 Charles Drive, in Bryn Mawr, Pennsylvania, is the oldest property. That 316-unit property was built in 1940. McLaren Engineering Group is expanding its Lehigh Valley location. The full-service engineering firm will now occupy 2,700 square feet at 5100 West Tilghman Street in Allentown—tripling the amount of space of its previous location, which opened in 2016. The move allows the McLaren team to grow from six to 16 employees. “Due to the region’s business growth, proximity to talent and affordable costs, our Lehigh Valley office is well-positioned to continue its growth trajectory,” says Malcolm McLaren, CEO of McLaren Engineering Group. Additionally, McLaren’s Lehigh Valley office engineered the steel egress stairs, railings and interior glass guardrail systems for Lafayette College’s Rockwell Integrated Science Center, opening this year in Easton, PA. The office has also provided a range of engineering services for projects in Philadelphia and the surrounding region. The Lehigh Valley office has strategic relationships with Lehigh University, Lafayette College, and Bucknell University’s engineering schools, which provide a steady pipeline of engineering talent. Kawczenski and his team are also regular speakers within Lehigh and Bucknell’s engineering programs. Kawczenski notes that comprehensive knowledge of design standards and codes is crucial within the space, as there have been measurable shifts in design work over the past decade. The regional director notes that straight, flat aluminum panels have given way to more complex designs—and these architectural requirements are accommodated by the Lehigh Valley staff. Freedom Credit Union has leased 2,000 square feet at Morrell Plaza in Philadelphia, becoming the latest business to join the tenant mix at this 103,250-square foot shopping destination. Located directly on Frankford Avenue/Route 13, Morrell Plaza is exclusively leased and managed by North Plainfield, NJ-based Levin Management Corporation. Freedom Credit Union is a community-based, full-service financial institution that offers a banking alternative to consumers. Anyone who lives, works, worships, performs volunteer service or attends school in Bucks, Chester, Delaware, Montgomery or Philadelphia counties is eligible for membership. Morrell Plaza is anchored by a 63,000-square-foot, newly renovated ShopRite supermarket and a 12,700-square-foot Rite Aid drugstore. The tenant roster includes a mix of national, regional and local retailers and service providers including T-Mobile, Supercuts, Dunkin’, and Yamato Sushi & Hibachi, among others. The property serves a five-mile residential population of more than 399,800 and its daily traffic count exceeds 36,000 vehicles. Investors and lenders dove into apartment and industrial mortgages in the final three months of last year while retail and office property lending slowed, setting a pattern industry executives expect to extend into 2019. Total commercial and apartment mortgage origination for 2018 rose 3 percent, after a 14 percent surge in the fourth quarter, according to preliminary estimates from the Mortgage Bankers Association. Origination for apartment properties increased 22 percent for the year, with loans from government-sponsored enterprises leading the surge. Loans made for industrial properties rose 12 percent for the 12 months, while those for hotel properties climbed 5 percent. Last year "ended on a strong note for commercial mortgage borrowing and lending, with fourth-quarter origination 14 percent higher than a year earlier, despite the broader market volatility," said Jamie Woodwell, Mortgage Bankers' vice president for commercial real estate research. However, Woodwell added that "the market as a whole ended the year roughly flat compared to 2017, continuing a plateau we've seen in mortgage borrowing and lending since 2015" as a result of moderation in both property value growth and building net operating income. The trend is expected to continue this year. Typical of the apartment surge were results recently released by Freddie Mac, which set a record with $77.5 billion in loan purchase and guarantee volume for 2018, and $500 million in low-income housing tax credit investments. The $78 billion in total production bested the company's prior record of $73.2 billion set in 2017. Life insurance companies boosted their loan origination by 10 percent in 2018 over 2017. Typical of that was PGIM Real Estate Finance, which originated its own record $18.1 billion in financing in 2018, up from $14.8 billion in 2017. Record production in multifamily and core-plus lending led the boost. PGIM Real Estate Finance is the commercial mortgage finance business of PGIM Inc., the $1 trillion global investment management business of Prudential Financial Inc.
PGIM Real Estate Finance has as much as $18 billion available for financing in 2019 and said it will again look to target growth in apartment and industrial loans. However, the stepped up lending from government-sponsored enterprises and life insurance companies was offset by decreased loans from banks and conduit lenders feeding the mortgage securities markets. Loans for commercial bank portfolios decreased 10 percent and loans for CMBS fell 26 percent. By property type, office property origination was down 7 percent, retail properties declined 13 percent and healthcare properties decreased 16 percent. Commercial and multifamily mortgage origination is expected to remain roughly on par with the volume in the past two years, according to the Mortgage Bankers. The association projects commercial and multifamily mortgage origination to total $530 billion in 2019, essentially flat from last year's $526 billion, and the record $530 billion in 2017. Mortgage banker origination of just multifamily mortgages are forecast to rise 1 percent this year to $264 billion, with total multifamily lending at $315 billion. The association expects the origination total to extend into 2020. "Slowing global and domestic growth may have an impact on overall demand, but readily available equity and debt for commercial real estate should support transaction volumes," Woodwell said. CAI, a privately-held global IT corporation, signed a 32,521-square-foot lease at BPG Real Estate Services’ Class A office building at Iron Hill Corporate Center in Newark, Delaware. The 105,475-square-foot, three-story structure at 700 Prides Crossing was built in 1992. The building spans nearly two acres less than two miles from the Fairplay train station. Duke Realty Corporation has acquired Wind Gap Logistics Center—a 349,012 square-foot class A warehouse/distribution facility located at 1380 Jacobsburg Road in Wind Gap, PA, from JG Petrucci Company and The Davis Companies for $41.3 million, or $118 per square foot, according to Real Capital Analytics, a proprietary research database that tracks commercial real estate transactions,. Wind Gap Logistics Center, a joint venture between Petrucci and Davis, was completed in 2018. Designed and built by Petrucci, the precast construction features: 36-foot clear height with 54-foot-x-54-foot columns; 60-foot deep loading bay; ESFR sprinkler system; and 9,400 square feet per door loading ratio. Wind Gap Logistics Center was designed by Cerminara Architect and constructed by Petrucci’s in-house construction firm, Iron Hill Construction Management Company. With the increased focus on the supply chain and need to efficiently move goods into major northeast metro areas, the joint venture believed the project provided a unique opportunity. The location has a significant competitive advantage within the established Lehigh Valley distribution market, because it is close to PA Route 33 and has equidistant access to both I-78 and I-80, the two main highways to the ports of New York/New Jersey and the MSAs of New York and Philadelphia. This strategic location allows tenants to avoid reliance exclusively on I-78. Shortly after construction of the property finished, Teva Pharmaceuticals signed a long-term lease for 54% of the building, demonstrating the strong demand for this state-of-the-art, well located class A distribution facility. Value-add multifamily and workforce housing are attractive sectors for lenders in the current market, but Opportunity Zones may not live up to their promise for real estate, according to participants in the “Deep Dive in Deal Making” panel at ALM’s GlobeSt.com Philadelphia Conference this week at the Crystal Tea Room. Terlizzi described a recent deal involving a workforce housing project of 210 units where the sponsor wanted to buy out his equity partners and needed to recapitalize the transaction, but the property’s rents were about $250 a month below the market because other more modern properties attracted a higher rent. “We structured a loan that provided him with 98% of the capital to buy out his equity, and we structured a deal with 100% of the renovation costs, to be advanced over basically a four-year period,” says Terlizzi. The financing included two one-year extension options and a principal guarantee. Despite complex tax issues because of foreign investor participation, Terlizzi says Key was able to close the deal in 45 days. Mekonen’s firm provides bridge financing to developers working on zoning approvals and converts that to FHA construction loans after land is acquired and approved, he says. Opportunity zones could provide an extra incentive for developers to look at affordable housing developments in a city like Philadelphia, Mekonen says. “I think that only adds to the flavor, because if you can underwrite it right and the deal works, it’s only going to get better,” he says. But Terlizzi and panelist Leo Addimando, co-founder and managing partner, Alterra Property Group, were not as sanguine about Opportunity Zones. In a discussion of complex structures, panelist Jacqueline Buhn, principal and CEO, AthenianRazak, described her firm’s master lease on most of the retail space in Philadelphia’s Suburban Station commuter rail hub, owned by the Southeast Pennsylvania Transportation Authority, known as SEPTA. Suburban Station has long suffered from a perception among commuters of a dingy, unpleasant concourse with limited retail options, but Buhn’s firm has been attacking that perception with a rebranding effort, she says. “We determined early on we had to do something fairly dramatic to begin to recognize the value in the station,” she says. Hesitation by SEPTA to permit bank financing of a retail redevelopment has limited the focus to what Buhn calls “the Gold Coast,” retail locations facing commuters as they descend stairs into the rail station. The bank arranged a 20-year credit tenant lease loan, the proceeds of which were pre-funded by the permanent lender into a deposit account at the bank, Terlizzi says. “If that had been done by two separate lenders, there would have been an issue with respect to resolving inter-creditor issues and so forth,” he says. “Instead, we were in a position to do both executions, because we have the investor placement program that accesses the credit tenant lease proceeds, as well as the balance-sheet funding." Philadelphia’s diversity is driving commercial real estate activity in the city, according to Maria Gonzalez, president and CEO of HACE, a community development organization working to make its core neighborhoods a place of choice for a mixed income, ethnically diverse population. Gonzalez, the keynote speaker at ALM’s GlobeSt.com Philadelphia Conference on Wednesday, February 13, at the Crystal Tea Room, told about 300 commercial real estate market participants that three primary waves of immigrants have expanded the city’s population mix, followed by millennials and their rising interest in urban living. Efforts to enhance Philadelphia’s walkability have also attracted baby boomers, who as empty-nesters are more interested in downsizing and enjoying an urban lifestyle with the cultural, dining, and shopping advantages that involves, she says, all of which is pushing housing prices ever higher. Rents in the city are rising but still affordable compared to New York and Washington, DC, she says. But the city is struggling to balance rising gentrification of older neighborhoods with extreme poverty found just a few streets away. Gonzalez says you’ll get different answers depending on whom you ask about gentrification’s benefits. HACE has developed a neighborhood plan in the predominantly Latinx communities it serves, Gonzalez says. It works closely with the City Commerce Department and the Philadelphia Development Corporation to provide incentives to local businesses to set up shop in their neighborhoods. HACE’s sidewalk cleaning program and other incentive programs are an effort to create pride and confidence in its neighborhood community. The federal Opportunity Zone program will also have strong benefits for development in HACE’s operating areas, Gonzalez says. “That may be another potential avenue to be able to attract new investments into our neighborhood,” she says. Gonzalez made a pitch for the 300-plus investors, developers, and market participants to consider investing in some of the city’s distressed neighborhoods. The sale of the Keystone Lofts in the Tacony/Lower Mayfair neighborhood in Northeast Philadelphia recently traded. The property, which is located just a 20-minute drive from Center City Philadelphia, sold to an international buyer at more than $140,000 per unit, a record price for Northeast Philadelphia. The property was originally built as a warehouse in 1923 and was converted into apartments in the late 1980s. It now contains 55 apartments and 1 commercial unit. There are two freight elevators primarily used for tenant move-ins/move-outs. Every floor plan is unique with features that include ceilings up to 30 feet high, sweeping views and distinguished hardwood floors. Keystone Lofts is located on approximately 2.8 acres of land with more than 100 parking spaces secured by an electronic security access gate. Hunter Truck, a family owned and operated network of truck dealerships, leased an 81,226-square-foot warehouse in Philadelphia. Hunter plans to hire nearly 50 employees and open a full service commercial truck dealership at the facility. The single-story structure at 2811 Charter Road comprises two loading docks equipped with two levelators, four drive-in bays, 20- by 60-foot column spacing and a 36-foot clear ceiling height. Built in 1969, the 4-Star property spans nearly 10 acres less than 25 miles from Philadelphia International Airport. Six lease agreements totaling 22,113 square feet of office space in two buildings situated within the Spring Arts Neighborhood were recently arranged. The space contracts have a combined aggregate rental of $3.2 million and were arranged for the building owners. In the largest of the agreements, Ameribest expanded its existing offices with the lease of another 6,924 square feet on the second floor of 990 Spring Garden. With that expansion planned for the third quarter of this year Ameribest will occupy 17,330 square feet in the structure. Elfant Wissahickon is moving into 5,534 square feet on the seventh floor of 990 Spring Garden Street when it opens a new office there in the fall. Joining the firm on the seventh floor this summer is the National Clearinghouse for the Defense of Battered Women which has leased 3,172 square feet. National Clearinghouse is presently located at The Sheridan Building in Philadelphia. Moving to some 3,000 square feet on the fourth floor is Creative Characters. Creative Characters is now located at The Sheridan Building and will move to 990 Spring Garden in the weeks ahead as soon as interior renovations are completed. Independent Vets is moving to 2,000 square feet on the fourth floor. SA 990 Spring Garden is the private investment partnership that owns the building. Independent Vets is presently located on S. 20th Street and is scheduled to relocate to 990 Spring Garden Street by May 1. At 448 N. 10th Street, Hightop Washington is expanding its offices with the lease of an additional 1,483 square feet on the third floor in an agreement. Spaces, the coworking brand of IWG that originated in the Netherlands, is leasing 48,069 square feet at 1626 Locust Street in Philadelphia, its second location in the city. The building’s owner is Cross Properties. Spaces’ first Philadelphia location is at the Hale Building, where it occupies 37,735 square feet. Over the past two years, 550,000 square feet of new coworking and incubator spaces have been added to the Center City market. Spaces’ new lease will bring the city of Philadelphia’s total coworking footprint up to more than 900,000 square feet, spread between 22 different providers. Yet coworking space still only represents less than two percent of the total Center City office inventory, indicating great opportunity for continued growth. Spaces will occupy all of 1626 Locust and is expected to move into the new location at the end of 2019. Comcast Spectacor and The Cordish Companies will build Pattison Place, an $80 million, new construction class-A office tower in the heart of the Philadelphia Sports Complex. Adjacent to Xfinity Live!, Pattison Place will offer an incredible office location amid the home venues of Philadelphia’s beloved professional sports teams, near the redeveloped office campus at The Navy Yard. Designed by Beyer Blinder Belle and Philadelphia based BLT Architects, Pattison Place will incorporate 200,000 square feet of new construction, class-A office space featuring a grand 4,000 square-foot lobby with 35-foot ceiling heights, including 20,000 square feet of ground-floor retail. With 12-foot floor-to-ceiling windows, Pattison Place will offer one-of-­a-kind panoramic skyline views of downtown Philadelphia, the surrounding Sports Complex and neighboring Navy Yard. Pattison Place will be within walking distance to SEPTA, near interstates I- 95, I-76 and I-476, and minutes away from both Center City and the Philadelphia International Airport. The tower will feature first class amenities including exterior signage, roof decks, fitness facilities, and on-site parking. Details for Pattison Place arrive at an exciting time as the Wells Fargo Center is conducting an extensive, $250 million multi-year transformation. Pattison Place will create 1,670 new jobs and generate $295 million in economic benefits to the city and state over a 30-year period. Pattison Place is the first of several announcements for the expansion of Xfinity Live!. Since opening in 2012 in partnership between Comcast Spectacor and The Cordish Companies, Xfinity Live! has been a prominent dining, entertainment and hospitality anchor for the region, dramatically changing the fan experience for Flyers, Eagles, Phillies and 76ers fans, as well as out of town guests. Welcoming millions of visitors a year, Xfinity Live! has energized South Philadelphia and the surrounding sports complex via year-round events and experiences including concerts, festivals, family fun days, community functions, charity events, and watch parties. Fashion District Philadelphia, a joint venture partnership between PREIT and Macerich, is expanding dining and entertainment concepts at the redeveloped shopping complex, with a dedicated third-floor entertainment zone that will include AMC Theatres and the newly signed Round One Entertainment. Occupying more than 60,000 square feet, Round 1 provides a party and event space offering bowling, arcade games, billiards, karaoke and more, along with food and beverages. PREIT says Fashion District will offer a variety of dynamic tenants and community programming across four key pillars – Style, Dining, Entertainment, and Arts & Culture. Further strengthening Fashion District’s entertainment pillar, AMC will feature in-theater dining, reclining seats, and a bar—marking Center City’s first movie theater to open since 2002. Offering a variety of options for a diverse shopper base, Fashion District will feature in-demand brands including Nike, H&M, Forever 21, Columbia, Levi’s, ULTA Beauty, and Digitally Native Vertical Brands as part of Brand Box, local entrepreneurs as part of Uniquely Philly and others—joining Burlington and Century 21. New York-based real estate investment trust Brixmor Property Group sold a 389,450-square-foot, grocery anchored shopping center in Bethlehem, Pennsylvania, to The Klein Group. Bethlehem Square sold for $40.91 million, or about $106 per square foot. Located at 3926 Linden St., the Class B center was built in 1987. The property spans 48 acres less than 11 miles from DeSales University. Christopher Munley and Michael Dicosimo at HFF represented the seller, which originally purchased the property as part of a portfolio in June 2011, CoStar data shows. Headquartered in New York, Brixmor owns and operates a portfolio comprising 475 properties across 36 states, according to its website. Zep Manufacturing, an Atlanta-based cleaning solutions company, renewed its 98,246-square-foot lease at Liberty Property Trust’s Class A warehouse at the Lehigh Valley West industrial park in Breinigsville, Pennsylvania. The 607,608-square-foot, single-story structure at 860 Nestle Way comprises 119 loading docks with 64 levelators, two drive-in bays, 42- by 50-foot column spacing and a 36-foot clear ceiling height. Built in 2003 and renovated in 2008, the 4-Star property spans 53.4 acres less than 15 miles from Lehigh Valley International Airport. Lidl, a German global discount supermarket chain, preleased Commonwealth of Pennsylvania’s 25,656-square-foot building under construction at the Shoppes at Upper Providence shopping center in Royersford, Pennsylvania. The single-story structure at 1839 E. Ridge Road is slated to deliver by the third quarter of 2019. Spanning four acres, the property will be less than six miles from Philadelphia Premium Outlets. Southern Land Company says 25% of the units in The Laurel, its 48-story luxury residential tower, have been sold, just three months after breaking ground ahead of schedule in fall 2018. The project also has selected a debt consolidation partner and is slated to close on the transaction in spring 2019. The Laurel is the last undeveloped parcel on Rittenhouse Square, and once completed, will be the tallest all-residential building in Philadelphia. Designed by Solomon Cordwell Buenz, the $300 million, ultra-luxury mixed use tower will include condominium residences, and long- and short-term residences with separate lobbies and entrances. The project also includes the preservation of the adjoining historic Warwick Apartments and Rittenhouse Coffee Shop. Based on demand for larger residences, the condominium count has been reduced from 74 to 60. The Laurel will feature 24,000 square feet of high-end retail that wraps around Walnut, Sansom, and 20th Streets. The floor plan features expansive corner residences, offering unparalleled panoramic views of the City and Rittenhouse Square. Amenities planned for the property include valet parking, indoor pool and hot tub, five-star fitness center with luxury locker room, steam room and sauna, yoga and Peloton room, Club Room and terrace overlooking Rittenhouse Square with bar and catering kitchen, conference room, and dog spa. Residents can also take advantage of the rental suite for out of town guests and luxury car service. Looking to capitalize on the emerging tax benefits by investing in Philadelphia-area Opportunity Zones in 2019? As it stands, the U.S. Department of Treasury's new Opportunity Zone program is far from a silver bullet for quickly transforming most of Philadelphia's economically distressed neighborhoods. The federal government is still hammering out its final guidelines for investing in qualified opportunity funds. While still unofficial, a host of proposed regulations signal that investors will likely be required to undertake steep upfront development costs in Opportunity Zone properties -- either through new construction, use conversion, or major capital improvements -- while reductions in their taxable basis in these projects only begin to accrue in year five of the investment. This means that only Philadelphia's best-positioned opportunity zone sites -- whose eventual rents and sale prices stand the greatest chance of justifying significant upfront construction costs -- are likely to attract serious interest from opportunity zone funds in the year ahead. Using CoStar's database of more than 300 commercial properties currently listed for sale within Philadelphia's Opportunity Zones, we have identified which development sites within these listings have the highest median household incomes within a one- to three-mile radius. Of all the opportunity parcels in Philadelphia listed for sale on CoStar, 900 Spring Garden -- in the emerging Spring Arts District -- ranks highest for median household income within a one mile radius, at just over $70,000. In true Spring Arts District fashion, there are already three different breweries up and running within three blocks of this site. Median household income of $67,000 within a one mile radius of 1314-1332 Spring Garden rank the property second under this metric among Philadelphia's opportunity zone parcels available for sale. The site is less than one block from the Spring Garden stop on the Broad Street Line and is a 10-minute walk from the Center City teaching hospital of Drexel University's College of Medicine. Thanks to its proximity to Philadelphia's healthcare employment engine in University City, and to the pricey Southwest Center City neighborhood, this site -- which consists of a mix of industrial properties, housing and land -- has the highest median household income within a three-mile radius of any development site listed for sale on CoStar and located within a Philadelphia Opportunity Zone. As a bonus, its location also provides quick access to I-76 for residents looking to get a head start on Philadelphia's notorious reverse commute.